For the first time in what seems like forever, the voices of women are being heard - and they have a lot to say. For many, finding that inner bravery to speak what the mind is thinking can take time. 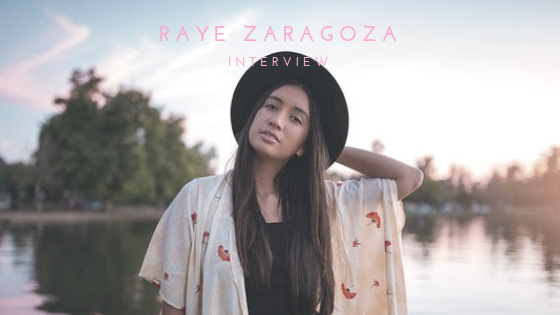 Award-winning singer/songwriter Raye Zaragoza found that inner bravery in her latest single, “Warrior”. Her grandmothers have inspired her music in more ways than one, despite having never met her great-grandmother Villa. In another single, “American Dream”, Zaragoza tells the tale of her great-grandmother and how she was forced into a boarding school to be raised separately from her parents and siblings. It’s a story that has been told in her family since she was a child, and it’s a story that haunts her. Zaragoza’s story is equally as inspirational. Her multinational heritage - Native American (O'odham), Mexican, Taiwanese and Japanese - gave her a rare take on life and sparked her love of music at an early age. Her perspective on growing up as a female multicultural youth, as well as her thoughts on politics and environmental education have all been addressed in her songs. Raye Zaragoza is digging deeper not only into what she’s been writing about but into herself to find truths that will speak to her audience in her next full-length album. By continuing to be a light in the darkness of finding inner bravery, her powerful messages make her a strong voice in the music industry.